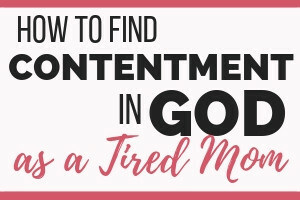 It’s hard to find contentment in God when it seems like “more stuff” will give us the confidence boost we need. Learn how to get back to the truth. Last month I found a cute, trendy pair of casual sneakers. I have the hardest time finding shoes in my size, but I was so pumped to find these shoes. I felt like I had taken a step up from the mom frump I’ve been feeling. Then my 2-year-old reached over and drew across the top of one shoe with a dry erase marker. I was so pissed. And disappointed. And mad at myself for letting her have a dry erase marker, which I knew better. Plus I was standing right by her while she wrote on a dry erase board. I also felt a bit crushed. The new shoes symbolized me gaining back some self-worth after my body had been out of whack. I felt like I was going to be “cool” again (whatever that is). Ha. A backstory would help here. Besides having a hard time finding shoes, my closet had mostly been maternity clothes for two years. The remnants of two back to back pregnancies, my hangers were filled with worn-out tees, no-longer-used maternity clothes and 2500 sweatshirt jackets because, hey, they’re comfy. Nothing bad about comfy, don’t get me wrong. But I found myself feeling not cute or “put together” most of the time. Couple that with not having any time to shop and my ponytail-wearing-days on a record streak, and I started feeling pretty bummed about my personal style. I felt like I wasn’t ever satisfied with the clothes I had or the way I looked. I had “nothing” to wear. 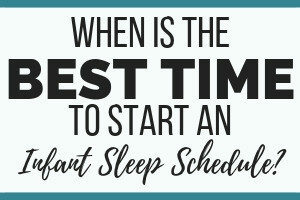 There’s nothing wrong with wanting to get some new clothes and look and feel our best. 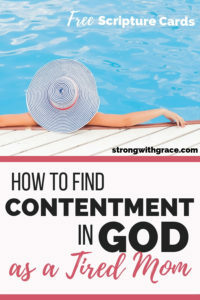 But that desire can quickly shift into unhappiness when we don’t seek our contentment in God and who He made us to be. And that’s what began to happen in my heart. I started to feel insecure. I’m not dressed as cute as those ladies. What does my husband think? I’m not being a good example to my daughters. I started to think that new clothes would help me feel better about myself and who I am. In my head I know that our value is not from things– it’s from God himself. But it’s so super easy to head down the path of insecurity and believing lies about ourselves. Don’t focus on wanting more things. Here’s why: God is with you. But this verse in Hebrews takes a different angle. It says that we should be content because God will never leave us. He is HERE. With us. Now. Like seriously He is. But we live like He’s not. We believe in our heads that He’s here, but we live like he’s not. Which means we really aren’t believing that He’s there after all, in the moment. 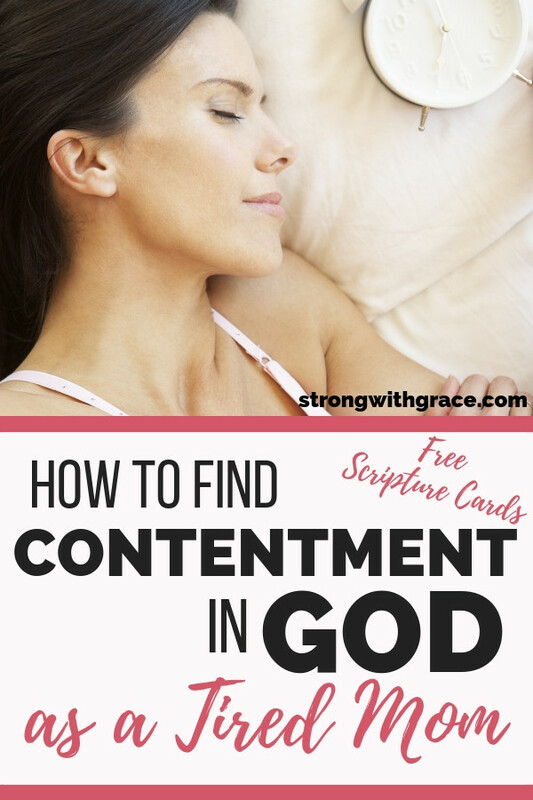 What are you focusing your contentment on? Somehow I forgot that God was actually with me, providing all that I need both physically, emotionally and spiritually. So, when the thoughts “not cute enough” or “not being a good example” came floating into my head, I let them stick around instead of rejecting negative thoughts in the name of Christ. God’s presence compels us to be content, but sometimes we can’t experience that through the fog of our faulty thinking. When I remember that God’s presence is here, loving me with unconditional love, working through and in spite of my weaknesses (2 Corinthians 12:9), I can stand strong against those negative thoughts. He will keep me in perfect peace when my mind is fixed on Him. He will make my paths straight. I’m valuable and accepted based on who He made me to be, not because of what I wear or do, or what others think of me. The shoes, by the way, can provide me none of those awesome things. So how do I keep those verses handy so I can stand on truth? Memorization: I’ve majorly slacked on this at different times, but amazingly, verses I memorized long ago still come back easily with a little review. There’s a cool app called Scripture Tracker that I use sometimes. I’m always amazed at how the Holy Spirit can bring back a verse or Bible story to mind at the perfect time to encourage or convict me. Artwork: I have the Love Chapter (1 Corinthians 13:4-7) on a piece of art hanging between and kitchen and dining area. That’s the most trafficked area in the house, and boy do I need a reminder to be patient and kind with my children sometimes! Music: Christian music– especially scripture put to music– is so helpful! I love to put on a worship song when I feel like I am needing encouragement. I listen to a variety of music, but when I put on a song that brings my heart back to the Lord, it’s extremely powerful. Reading the Bible: These days I read the Word mostly on the phone app “YouVersion” from Bible.com. I have done many of their reading plans which are great, and I’m currently reading through Matthew. God never fails to speak to my heart through His Word. I am changed when I have been in God’s presence. I still haven’t been able to get the stain out of my shoe. But it’s funny because after my wild one wrote on it (like a few hours after), God and I had a moment. I guess He had noticed that I was letting the situation make me grumpy and irritated. He knew my heart and how I was allowing external things to affect my identity that day. I confessed to Him that I was not trusting Him to be enough for me… that I felt like I needed some sort of outside affirmation apart from who He says I am. He restored me to connection with Him and set my heart right about the basis of my value. Just that quick, the line on my shoe became a reminder of where I need to place my importance. Not in a shoe. Not in things. In who He says I am. Period. So the next time you get a dry erase marker across your shoe (or whatever it is in your life that makes you feel a bit crushed), remember where your true value comes from. Then you’ll be able to experience contentment in God. 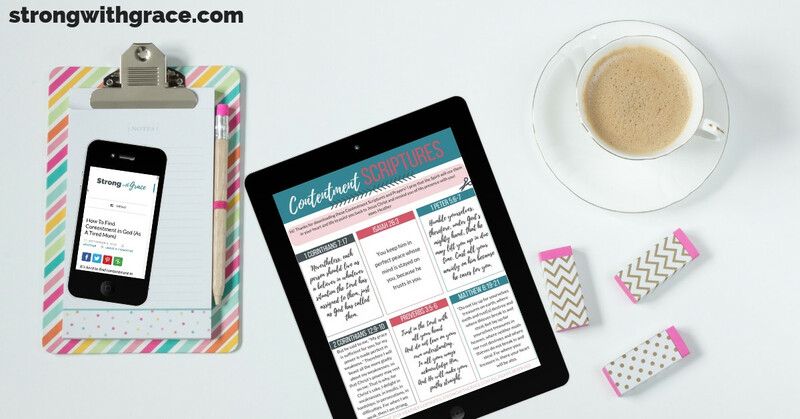 And if you want reminders of God’s truth regarding contentment, I’ve made it super easy for you–grab my free download “Contentment Scriptures and Prayers” below! What a beautiful reminder to seek God! I love your story about the shoes as we all fall victim to negative thoughts and trying to be the “perfect” image of something, when we are already perfect in God’s eyes. Thank you for the different ways your provided to seek God and to incorporate him into your life. I will give these a try and start trying to be more intentional with scripture and music.